Peaches and Cream Ombre Cotton Net Shirt Handworked in Pearls and Threadwork. Silk Georgette Sheer Shirt with Cutwork Cuff and Neckline and Swarovski. 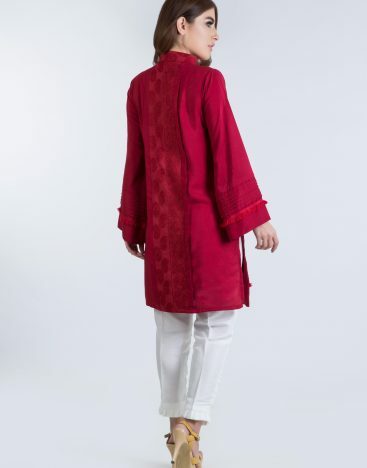 Comes with Silk Lining and Pure Silk Pant. Kamdani Embroidered Cotton Net with Handworked Neckline Shirt. 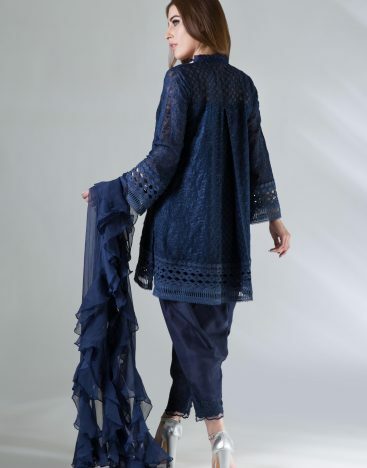 Navy Blue Cotton Net with Embroidery on Front and Back Shirt. Embroidered Panelled Khaadi Net with Handworked Neckline Shirt. 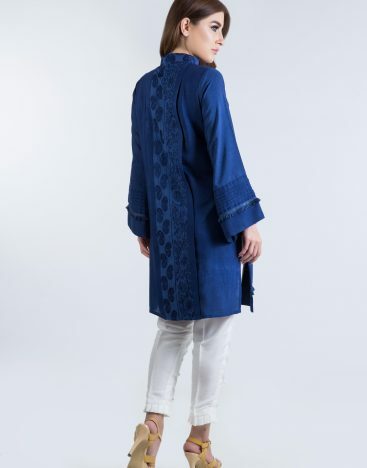 Shaded Cotton Net Kurta with Heavy Anchor Neckline. Lace Missoni Border. 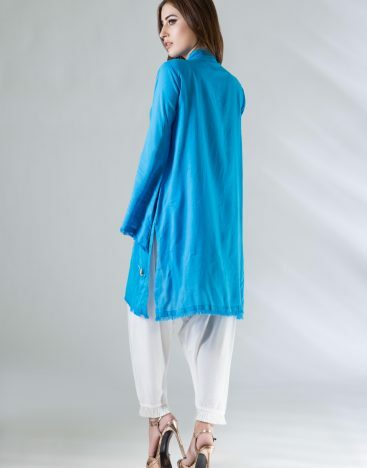 Trendy Tunic in Sky Blue Chiffon with an Embroidered Neckline and Balloon Sleeves. (Slip Included). 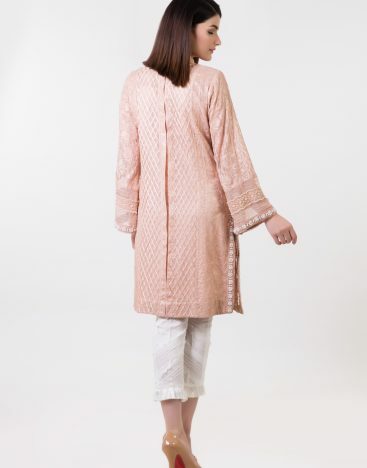 Chikan Kari Kurta in Cotton Net with Frayed Details. Pearl's Finish on Neckline. 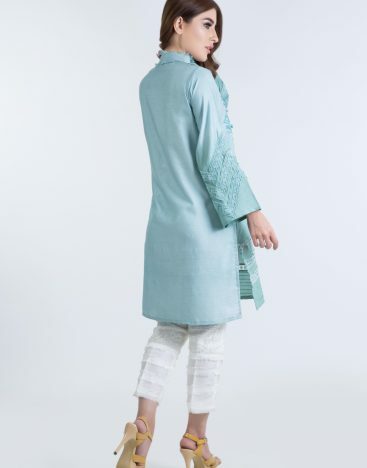 Cotton Net Shirt with Embroidered Work and Sleeves Lace Details. Cotton Net Shirt with Front, Back and Sleeves Lace Details. Black Cotton Net Shirt with Organza Pleated Sleeves and Embroidered Motif. Maroon Organza Straight Shirt with Lace Inserts. Neckline Adorned with a Savarovski Crystal Bird. Emerald Green Colour Raw Silk Pant Suits with Pearl Tassel Detail on Sleeves. A Beautiful Leaf Motif on Each Side of Shirt Slit. Organza kurti Delicate with Filigree Lace. Details of Pearl with Flower Motifs Compliment the Neckline. An Embroidered Motif adding to the Pastel Feminity of Powder Pink. Organza kurti Delicate with Filigree Lace. Details of Pearl with Flower Motifs Compliment the Neckline. An Embroidered Motif adding to the Pastel Feminity of Powder Blue.